Robert Wilson was born on 2 December 1881. Robert was married, and in 1914 when he joined the Durham Light Infantry (DLI), he was 33. He worked as a coal miner. Robert lived with his wife Alice and daughter Phyllis-Annie, in Old Pit, Framwellgate Colliery, Framwellgate Moor. 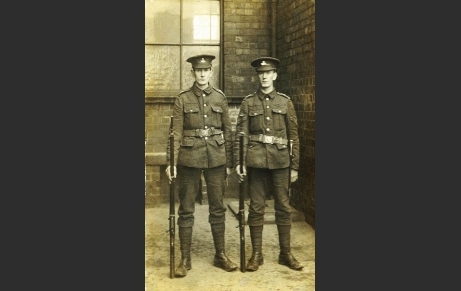 Robert and his younger brother, Albert, joined the 18th Battalion Durham Light Infantry – the Durham Pals – at Cocken Hall on the day the battalion was formed – 21 September 1914 – and three days before recruitment officially started on 24 September. Albert’s number was 18/637 and Robert’s,18/651. Initially, Albert and Robert were both in A Company (although, when they died, they were both in C Company). Robert was already a territorial soldier with the 2nd Durham Battery, Royal Garrison Artillery, and probably because of his previous service record he was made an acting corporal. In April 1917, the focus of the western front war had moved to Arras. The Durham Pals were now in the front line at Gavrelle, opposite where the enemy had possession of a strategically important windmill. The Royal Naval Division and the Royal Marines had suffered great losses trying to capture the windmill. C Company, under the command of Lt. Harold Everett Hitchin, were ordered to eject the enemy and take the windmill – at any cost. The attack started at 4.30am on 3 May 1917. In the course of the day the mill changed hands between the 18 DLI and the enemy, five times. Again, it involved brutal, close quarter, hand-to-hand fighting – the heroics of which were recounted in Sir Arthur Conan Doyle’s (1919) history of the Great War The British Campaign in France and Flanders – volume IV [Chapter III]. The action at Gavrelle windmill and Private Robert Wilson are mentioned in John Sheen’s (2007) book Durham Pals (p158). 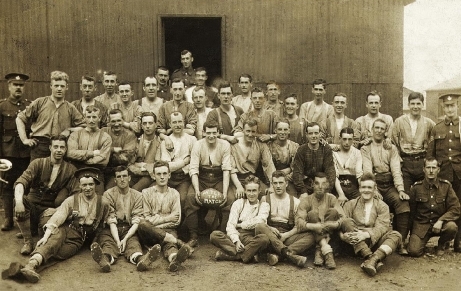 At the end of the day C Company held the mill, but at a cost of 84 wounded and 59 dead or missing. Included amongst the missing was Robert Wilson. Robert Wilson’s body was never identified. He is commemorated on the Arras memorial to the missing, and together with Albert he is also commemorated in and around Durham. Their names are engraved on the war memorial at St. Godric’s church, Durham city; in the lych gate at St Cuthbert’s church, Framwellgate Peth; on the memorial panels in St Aidan’s church, Framwellgate Moor; and on the memorial in Pity Me and District Community Hall. 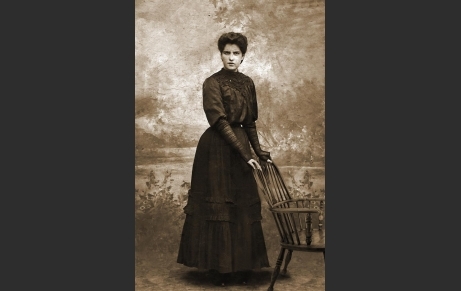 Amongst the few personal possessions returned to his young widow Alice, was a photograph of her that he had carried with him to the front (see photographs attached to this page). In the picture, Alice is dressed in mourning clothes, because in June 1916, just a month before Albert was killed, Alice and Robert’s daughter Phyllis-Annie had died – she was just four years old. According to the death certificate, Robert Wilson was present at Phyllis-Annie’s death – so he must have been given compassionate leave to be at home (the 18th DLI were in France at that time preparing for the Somme offensive). Alice Wilson, aged 27, widowed and with two baby sons, married again, and her Wilson children were raised by their stepfather, Peter McDonough; but for the rest of her life until her death at Coventry in 1967, Alice kept the postcards Robert Wilson had sent her. The pictures attached to this page include several postcards which Robert sent to his wife, Alice. The group photograph, taken at Cocken Hall, shows both Robert and Albert. 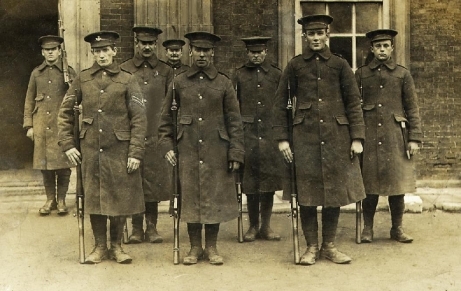 The soldier on the front row extreme right is Robert Wilson. Immediately next to him, with hand up to mouth, is his brother, Albert Wilson. 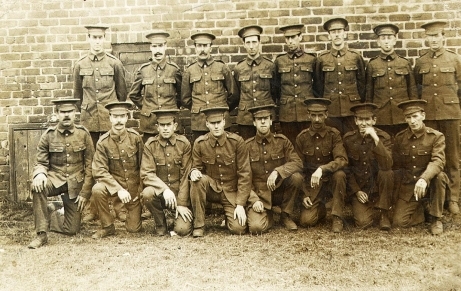 On the group photograph taken at Newton Hall, only one of the soldiers has a cap badge; Corporal Robert Wilson. In Orchard Dump cemetery, Arleux-En-Gohelle, between the villages of Oppy and Gavrelle, there are over 2500 burials gathered in after the armistice from the battlefields around Gavrelle, many of them are listed in the CWGC register as ‘unknown’ – and many are listed as ‘unknown Durham Light Infantry’. Robert Wilson’s final resting place may well be amongst them.